Many roof problems start small, but become costly fixes when left untreated. That’s why it’s so important to inspect the roof throughout the seasons. 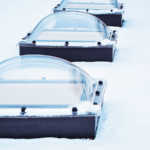 Learn about the most common problems in each season and keep an eye on your roof. The humid summer months make your roof more susceptible to mold, moss, and algae growth. This tends to happen on roofs that don’t drain properly. 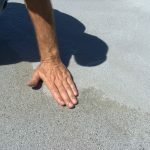 When water pools in areas on the roof, it can soak into the roofing material. Additionally, roofs don’t always dry out if they’re shaded by trees or there’s high humidity. Always be sure that water is draining from your roof, and fix the roof slope if it’s starting to pool. In many areas, summer is also hurricane season. Wind and rain can cause a lot of damage to your roof as it blows debris around. After every storm, check the roof for damage and ponds, and make necessary repairs. The changing leaves may look great, but they’re the biggest threat to your roof during the fall season. Leaves can fall into your drainage system and build up to create a blockage. In many cases, you don’t notice it at first because there’s enough space for water to flow around the leaves. However, a small blockage starts to pick up more debris and gets bigger. Eventually, it might completely dam the drain and the water will start to pool. Regular cleaning can prevent these problems. If your business struggles with this issue every year, talk to your roofer about installing some type of screen to prevent debris from entering the system. Heavy snow on the roof presents a major problem. While most buildings in snowy regions can withstand a significant amount of snow on the roof, major snow storms can dump more than the roof can handle. 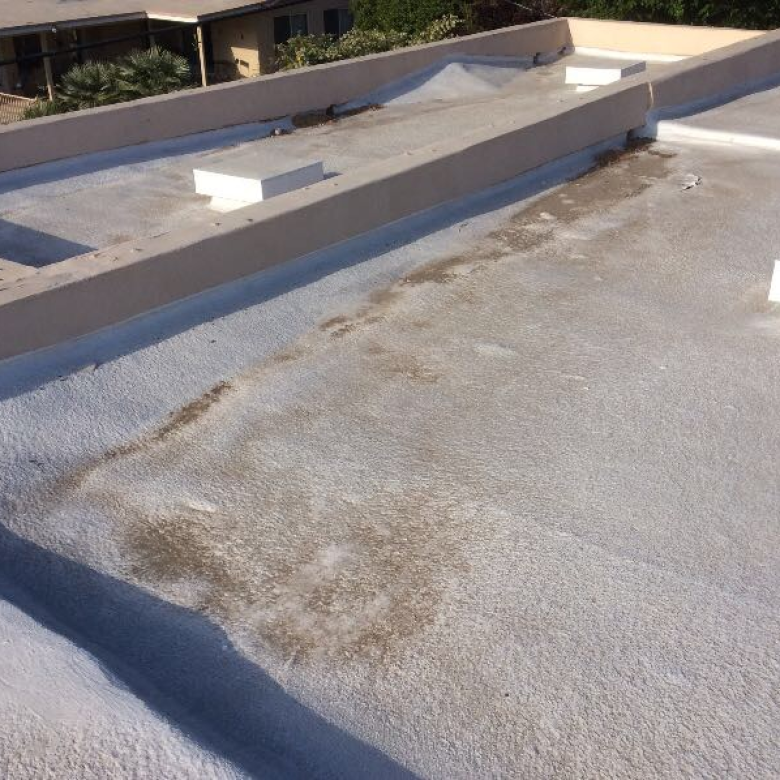 This can cause cracks, leaks, low areas and other types of roof damage. Throughout the snowy season, keep an eye on your roof to see if there’s significant buildup, then hire a professional to remove it if necessary. Occasionally, melting snow freezes again when it hits the drainage system, forming “ice dams”. When the drains dam up, snow won’t drain off when it melts, causing even bigger problems. If the snow doesn’t seem to be melting off the roof when it seems like it should, ice dams might be your problem. April showers bring May flowers and leaky roofs. With the abundance of rain in the springtime, you’re more likely to notice signs that your roof is leaking and housing roof ponds. Look in the attic for dampness or discoloration of the wood. By repairing small leaks and ponds as you find them, you’ll avoid extensive repairs. Be sure to inspect to see if your roof’s slope doesn’t encourage draining. Those in Tornado Alley also know that springtime also tends to bring tornadoes. While there might not be any hope for a roof that’s actually touched by a twister, it’s smart to make sure that the roof is ready for heavy winds. Keep all items off your roof, as these could blow around and puncture the roof. Check that all parts of the roof are firmly secured, as high winds can rip parts off. Do You Need a Professional Inspection? If you know the common signs of trouble mentioned above, you can get by with your own visual inspection most of the time. However, many owners still get a professional inspection once every year or two. Professionals can catch small things that aren’t visible to the naked eye and may catch issues you didn’t know about. 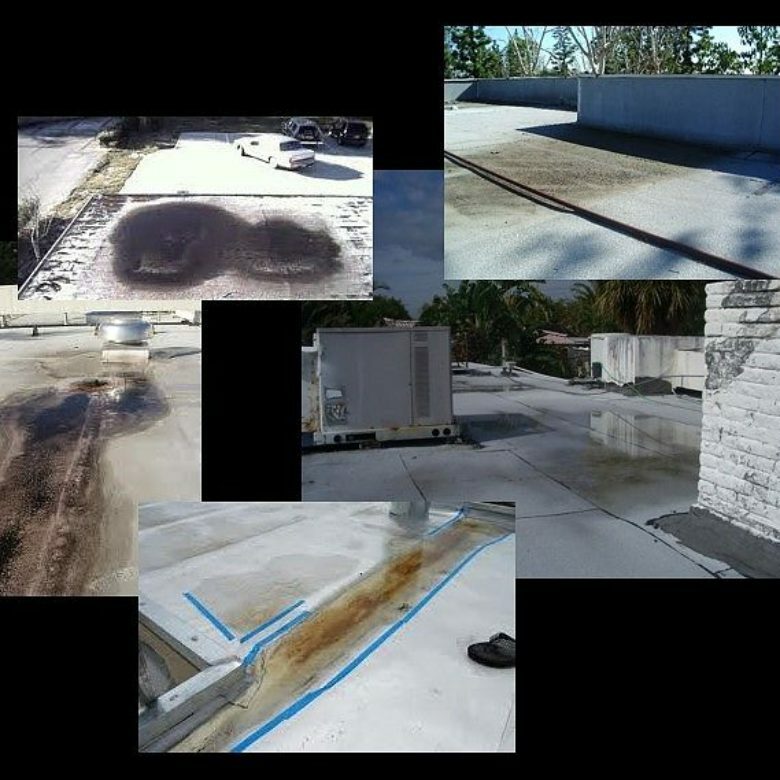 At Pli-Dek, we know that proper drainage is essential for keeping your roof in good condition no matter what season it is. Contact us to learn more about how our RoofSlope product can help you put roof ponds in their place.